24 MB|47 pages includes non fiction powerpoint, writing templates, worksheets and craft. 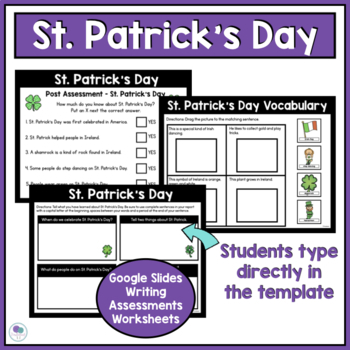 St. Patrick's Day writing activities are great for the month of March. This informational writing unit is perfect for your first or second grade writers workshop. Combine your social studies and writing standards with this complete unit that includes a non fiction powerpoint, pre and post assessments, worksheets, mini book, graphic organizers, writing templates, and craft. 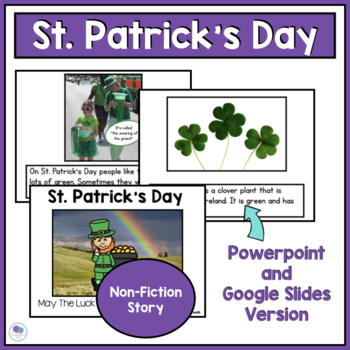 Non Fiction Powerpoint - Why Do We Celebrate St. Patrick’s Day? Would you like teaching ideas, product updates and freebies delivered right to your inbox? Click here to receive my newsletter and get your first FREEBIE today! DO YOU WANT FREE TPT RESOURCES? 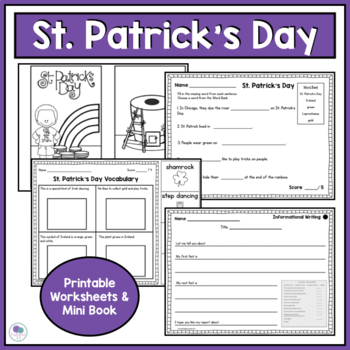 It's really easy to get FREE TPT resources! Just leave FEEDBACK any time you make a purchase on TPT. Yep, that's right! Whenever you leave feedback, you earn free credits toward future purchases. If there is something that I can improve upon please email me at firstieland@gmail.com and I'll do the best I can to accommodate you! 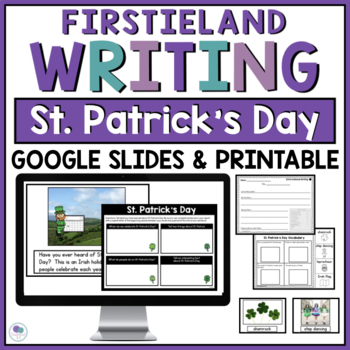 47 pages includes non fiction powerpoint, writing templates, worksheets and craft.